One of the most long-lived deciduous flowering shrubs, lilacs (Syringa vulgaris) can live for 300 years. 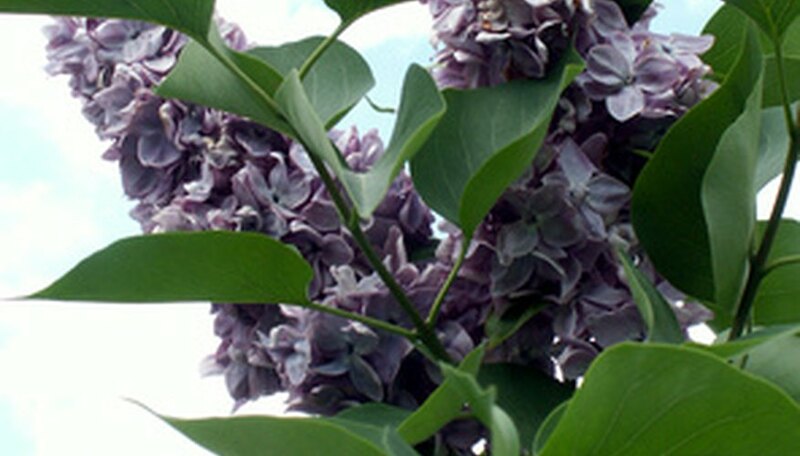 Lilacs bloom in mid-spring, producing cone-shaped clusters of tiny, fragrant blossoms. Lilacs have been hybridized extensively and are available in hundreds of varieties. Hybrid lilacs come in shades of lilac, purple, pink and white, with bloom times ranging from early to late spring. Plant a wide variety of cultivars for several weeks of bloom. Grow lilacs in full sun. Lilacs will not bloom well in partial shade. If you have an established lilac bush that is not blooming well, the solution may be to prune away any tree limbs that are shading it. If you do this pruning early in the growing season, you should notice an increase in flower production on your lilac bush the following year. Prune your lilac bush right after the flowers fade in spring. Remove spent blossoms and prune back the flowering stems to just above a set of leaves. If your lilac bush becomes leggy with sparse growth, give it a renewal pruning. Remove no more than one-third of the oldest stems just above ground level every spring for three years. New and vigorous growth will emerge from the base of the plant. Apply 10-10-10 fertilizer every year in spring. Following the manufacturer's recommended rates of application, but apply half the recommended amount of fertilizer in early spring and the second half after the flowers fade. Sprinkle it on the soil in the root zone and water well. Avoid using high-nitrogen fertilizer, which will cause lilacs to grow leaves and stems at the expense of flowers. Plant lilacs as specimen plants or as a fence or border. Lilacs grow about 10 feet high and spread about 8 to 10 feet wide at maturity. Space them 6 to 8 feet apart if planting as a border. Once a lilac bush or stand is established, it needs supplemental watering only in times of extreme drought.